Establishing paternity is key to child custody cases and can also be important for both the emotional and financial aspects of your child’s life – it can give your child a meaningful connection to his or her father and it can make it easier to secure child support for your child. But how can you legally establish paternity in Washington State, and can you force your baby’s father to admit paternity? A father may cooperate when establishing paternity or resist. Resisting fathers may be ordered by the court to engage in genetic testing to verify if he is the parent. Entering into a marriage prior to birth of the child. In Washington, there is a presumption of parentage if the father enters into a marriage with the mother during her pregnancy. However, this presumption of marriage can be challenged at any time by the father, mother, or other third party. Entering into a legal domestic partnership prior to birth of the child. Similar to marriage, a presumption of parentage applies when a couple enters into a legal domestic partnership which can also be challenged at any time by either parent or other third party. Filing a Paternity Acknowledgement form. Becoming the legal father of your children can be as easy as signing a form and sending it to the Washington State Department of Health, Center for Health Statistics. However, fathers who are unsure of their paternity should strongly consider getting a genetic test before signing legal papers that can have both large emotional and financial consequences. Men should be certain that they understand their rights and the consequences of signing a paternity acknowledgement. You have 60 days after signing a parental acknowledgement to change your mind. Women should know that they have several courses of action to pursue if the father of their child is not cooperative. Via a court order (which may require a paternity test) If a suspected father is uncooperative when it comes to the above options, the court may require him to take a genetic test and prove or disprove paternity. While this is a good option for resistant fathers, it does often involve court costs. Marriage or a domestic partnership prior to the birth of the child is the most straightforward way to establish paternity. The male partner in each case is presumed the father. The other two ways require some legal maneuvering. Genetic testing is a relatively new technology allowing parents to establish paternity almost beyond a shadow of a doubt. Genetic testing only requires mouth swabs by father and baby – and a testing center. When fatherhood is in question, this is often the simplest solution to the issue. Filling out an official paternity acknowledgement form should follow genetic testing. If you find yourself needing to prove paternity, call Molly B. Kenny for family law help – 425-460-0550. The process can be complicated, and a lawyer can be a helpful asset. What is a Paternity Acknowledgement Form? Paternity Acknowledgement is a legal document used to determine fatherhood. Both the father and the mother of the child will have to sign the form. The parents must have it notarized and file it with the Washington State Department of Health. The man then legally will be the child’s father. Most new fathers will sign a Paternity Acknowledgement form at the time of the child’s birth, either in a hospital, birthing clinic or at home with a midwife. If the father doesn’t sign the acknowledgement form at the child’s birth, then he can obtain and sign the form with the King County Health Department or by calling the Washington State Division of Child Support (DCS). If the mother was married at the time of the child’s birth, but another man is the child’s father, the mother’s husband is the presumed father. He must sign a Presumed Parent’s Denial of Paternity for the acknowledgement form to be valid. How do I Establish Paternity Through a Court Order? 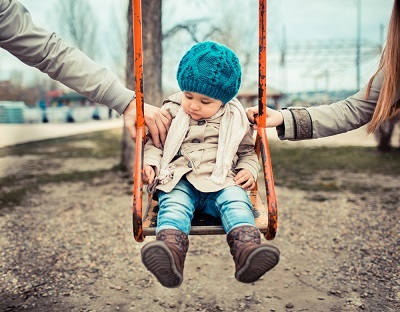 Going through the court system may be necessary if the mother is unsure of who the child’s father is or there is a paternity dispute. While genetic testing is not required in order to fill out a Paternity Acknowledgement form, the father is welcome to obtain testing if he wishes. If you are trying to establish paternity via court order, then the court may order genetic testing to determine if a particular man is the child’s father. A mother may apply for services with the DCS, and the DCS may help establish paternity by referring the case to the county prosecutor in King County. The prosecutor acts on the child’s behalf – not either parent’s behalf. However, you may hire a family law attorney to represent you. Either parent (the birth mother, presumed parent or alleged parent) may file a Petition for Establishment of Parentage with the court. The petitioner then may serve the parent with the summons; the respondent may issue a response, and the case may proceed through the court system. If you are a father, establishing paternity is important to protect your legal rights and allow you to establish a relationship with the child. If you do not establish paternity through some means, you may have legal complications in the future if a parenting agreement (which outlines custody and child support payments) is ever necessary. Additionally, establishing paternity is necessary if you ever want to travel with the child, change the child’s last name or are worried the other parent may take the child without your consent. Meanwhile, establishing paternity may be beneficial to the child’s mother so she can enforce a child support order against the father. It also can be beneficial for the child to have a relationship with his or her father. Do I Need a Lawyer to Establish Paternity? While there is no law requiring that you obtain legal counsel when filing a Paternity Acknowledgement form or going through the courts, doing so is beneficial. If you have questions about paternity, how to establish it or your rights, consult an attorney immediately. At the Law Offices of Molly B. Kenny in Bellevue, our attorneys can answer all of the above questions and more. Call our offices today at 425-460-0550 or set up your consultation online.